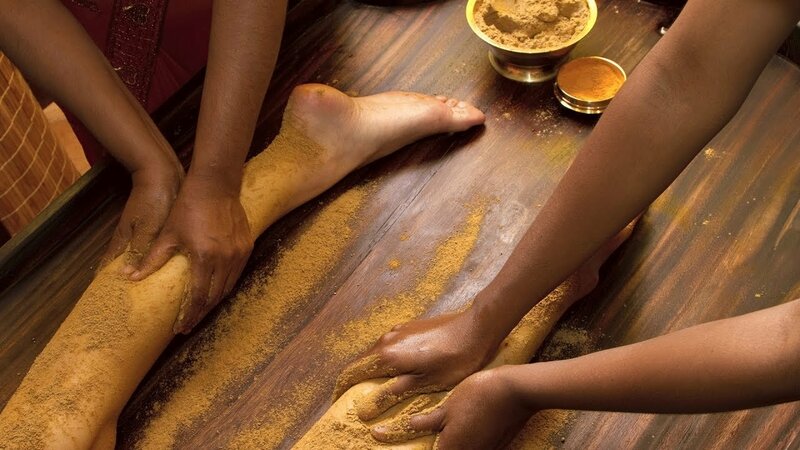 Arthritis, known as Sandhi Vata in Ayurveda, is an age old disease and Ayurveda has done a lot of research into its causes, symptoms and treatments. Though Vata dosha is typically primarily responsible for this, Ama (toxins) and Agni (digestive fire) also play a strong role. Vata becomes aggravated due to improper diet and lifestyle habits. This leads to improper digestion or a low digestive fire (Agni). The poor digestion then leads to the build-up of toxins in the colon. The deranged Vata along with the toxins begin to accumulate in the colon and eventually absorb into the circulation where they flow freely through the system. From the blood stream, they then find their way into the joint cavities, accumulating further here. This toxic accumulation eventually leads to pain, stiffness, stagnation, inflammation, swelling and degeneration of the tissue. Vata-Type Arthritis: Vata, being of air and space, will show signs of degeneration of the joints (osteoarthritis). There tends to be stiff, dry joints that crack and pop often. Pitta-Type Arthritis: Pitta, being hot and fiery by nature, will show signs of inflammation and redness at the site of the effected joint. The area may be hot to touch with tenderness upon palpation. The pain will be sharp, intense and may attribute a burning sensation. Kapha-Type Arthritis: Kapha, being Earth and Water by nature, will show signs of stiffness, swelling and edema (fluid retention) at the site of the effected joint. This area will be cold and clammy to the touch and the pain is typically dull. • Triphala Churna: Take 1/2 tsp of this powdered formula each night before bed. Mix it in warm water, steep for 5 minutes and drink the mixture. • Kitchari Cleanse: Performing a mono-diet, Kitchari cleanse is a good way to start for all body types. This can be done in 3, 5 or 7 days depending on the individual. This is a great way to rid the body of toxins, decrease inflammation and enhance the digestive fire. Though these remedies are general in nature, it is imperative that any form of treatment be supervised by a certified Ayurvedic Practitioner. Itoozhi Ayurveda offers expert treatment for all Joint and bone related diseases as degenerative issues.